The team at Marry Me Bridal is passionate about providing the highest quality in service. Our reputation has been built on being one of the leading bridal business on the North Shore, with a diverse collection of Australian and international designers. Our style combines traditional silhouettes with modern glamour and romantic beauty, reflecting the bona fide style of our brides. From Gunners Barracks to Koh Samui, Longreef to Tuscany, this is where our gowns are embraced with a passion for uniqueness, romance, and elegance. We offer a stunning collection of bridal gowns from leading designers from all around the world. Julia Cavallaro is the owner of Marry Me Bridal. Her 15 years experience in the Bridal industry led to a desire to provide Sydney brides with a couture experience but at off-the-rack prices. Julia focuses on Australian designed gowns with some international stars of the bridal industry also stocked in the studio. It was important to Julia to be able to provide an environment of relaxed ambiance for brides, to offer a place that brides felt comfortable visiting time and again to experience the fun and excitement of preparing for one of the biggest days of their lives. Marry Me Brides offer a stunning collection of bridal gowns from leading designers. 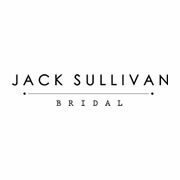 Specialising in Maria Chiodo, Pronovias, Samantha Wills, Wendy Makin, Rosa Clara, Watters, Mori Lee, Jack Sullivan, Fattiepie flower girl dresses and many more. We pride ourselves on offering the very best in customer service, and our stylists offer friendly and helpful advice to all our Brides to Be!